THOR RAGNAROK. (DVD Artwork). ©Marvel Studios. Marvel Studios’ “Thor: Ragnarok,” the God of Thunder’s third installment in the Marvel Cinematic Universe, was a global hit, hammering out $845 million at the global box office. Now the colorful cosmic adventure, loaded with action, humor, drama and spectacle, bursts into homes on 4K Ultra HD, Blu-ray, DVD and On-Demand on Tuesday March 6. It also is available now digitally in HD and 4K Ultra HD and Movies Anywhere. Thor (Chris Hemsworth) is imprisoned on the other side of the universe without his mighty hammer and finds himself in a race against time to get back to Asgard to stop Ragnarok—the destruction of his home world and the end of Asgardian civilization—at the hands of an all-powerful new threat, the ruthless Hela (Cate Blanchett). But first he must survive a deadly gladiatorial contest that pits him against his former ally and fellow Avenger—the Incredible Hulk (Mark Ruffalo)—and grapple with his silver-tongued adopted brother Loki (Tom Hiddleston), the fierce warrior Valkyrie (Tessa Thompson) and the eccentric Grandmaster (Jeff Goldblum). Viewers will experience all the thunderous action and lightning-fast wit in 4K Ultra HD with next-generation high dynamic range (HDR) visuals and Dolby Atmos immersive audio. 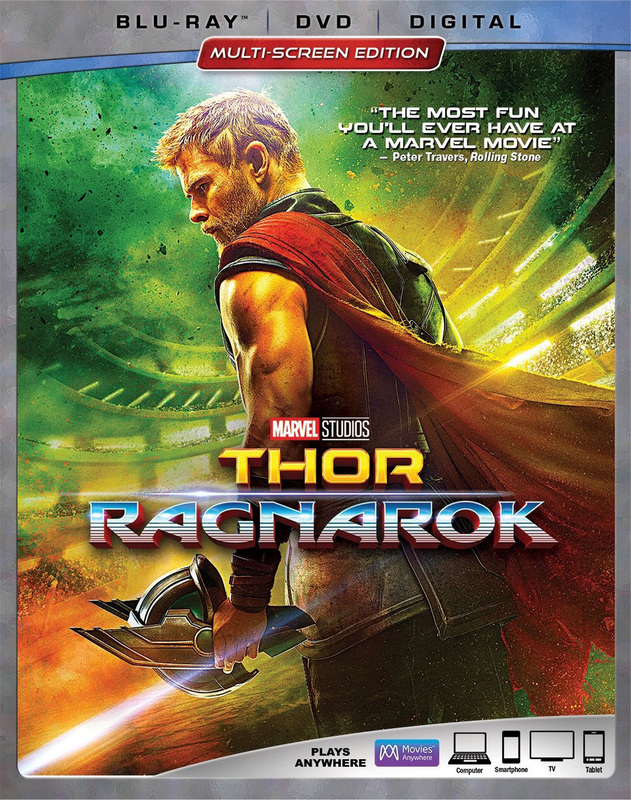 Exclusive, never-before-seen bonus features include deleted scenes; hilarious outtakes; an exclusive short: part three of the mockumentary “Team Thor,” retitled “Team Darryl” and featuring an eccentric new roommate; the evolution of MCU’s heroes culminating in “Avengers: Infinity War;” numerous making-of featurettes which explore the vision of director Taika Waititi; the story’s unstoppable women; the charismatic Korg; the tyrannical leader of Sakaar, the Grandmaster; and the film’s comic-book origins; audio commentary by Waititi and more. The Oscar-nominated coming-of-age comedy “Lady Bird,” arrives on Blu-ray Combo Pack (plus DVD and digital) and DVD Tuesday March 6 from Lionsgate. From her own semi-autobiographical script and making her solo directorial debut, Greta Gerwig’s (“Frances Ha,” “20th Century Women”) “Lady Bird” follows a wildly opinionated and adventurous woman as she navigates her way through adulthood trying to find her true identity. The film stars Oscar nominee Saoirse Ronan (“Brooklyn”), Primetime Emmy winner Laurie Metcalf (“Roseanne), Oscar nominee Lucas Hedges (“Manchester by the Sea”), Oscar nominee Timothee Chalamet (“Call Me by Your Name”), Odeya Rush (“The Giver”), Beanie Feldstein (“Neighbors 2: Sorority Rising”), and Tony Award winner Tracy Letts (“Indignation”). Gerwig’s directorial debut excavates both the humor and pathos in the turbulent bond between a mother and her teenage daughter. Christine “Lady Bird” McPherson (Ronan) fights against, but is exactly like, her wildly loving, deeply opinionated and strong-willed mom (Metcalf), a nurse working tirelessly to keep her family afloat after Lady Bird’s father (Letts) loses his job. 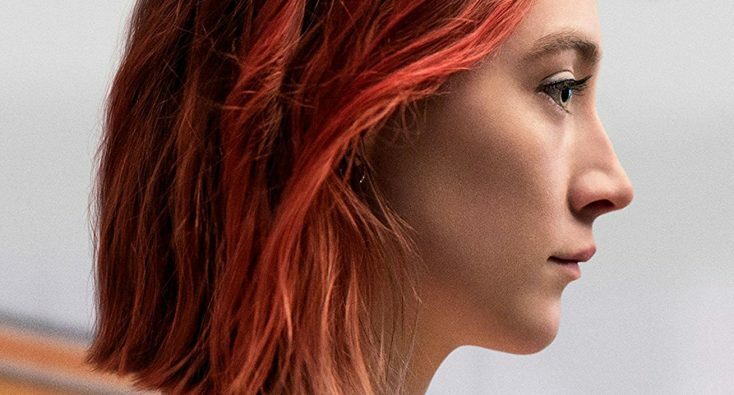 Set in Sacramento, California, in 2002, amidst a rapidly shifting American economic landscape, “Lady Bird” is an affecting look at the relationships that shape us, the beliefs that define us and the unmatched beauty of a place called home. The home entertainment release of “Lady Bird” features an audio commentary and featurette, and will be available on Blu-ray Combo Pack and DVD for the suggested retail price of $39.99 and $29.95, respectively. From the team behind one of Australia’s most successful series in “Miss Fisher’s Murder Mysteries,” the new Aussie legal dramedy “Newton’s Law,” debuts on DVD on Tuesday March 6, from Acorn TV, an RLJ Entertainment brand. The dramedy series centers around a suburban attorney (award-winning Aussie actress Claudia Karvan, “Jack Irish,” co-creator of “The Heart Guy”) who attempts to return to her briefly glorious legal career. When her offices are firebombed by an angry client, consulting solicitor Josephine Newton (Karvan) is forced to take a new job as a barrister at Knox, a high-powered legal firm where her old flame Lewis (Toby Schmitz, “Black Sails”) works. Worried about leaving behind her former clients turned colleagues, Josephine sets up a new legal office in the building’s basement for Johnny (Sean Keenan, “Glitch”), a reformed car thief, and Helena (Georgina Naidu, “SeaChange”), a brilliant legal mind with a crippling fear of courtrooms. As Josephine tackles high-profile cases with Lewis upstairs, she secretly consults with Helena and Johnny downstairs. Throw in a teenage daughter and a husband (Brett Tucker, “The Americans”) who doesn’t seem to understand the meaning of a trial separation, and Josephine’s new life is more hectic than ever. The three-disc DVD set features eight episodes, plus bonus behind-the-scenes featurettes and cast interviews (SRP $49.99, Amazon.com). “Newton’s Law” made its exclusive U.S. premiere last September on Acorn TV, North America’s popular streaming service focused on British and international television. A couple’s already strained marriage faces the ultimate test after they cover up a terrible crime and find themselves entangled in a Hitchcockian web of deceit and madness in “Midnighters.” The IFC thriller is available on VOD and Digital HD and also can be seen in select theaters. “Midnighters” marks the directorial debut of Julius Ramsay, who is known for his work on AMC’s “The Walking Dead” and Syfy’s upcoming Superman prequel “Krypton.” Written by Julius’ brother Alston Ramsay, the film was inspired by a disturbing real life crime that took place in Los Angeles (set in rural New England in the film). A nurse’s aide hits a homeless man with her car and drives home with him stuck headfirst in the broken windshield. Ignoring his cries for help, the victim bleeds to death in the woman’s garage over the next few days. The film stars Alex Essoe (“Starry Eyes,” “Tales of Halloween”) and Perla Haney-Jardine (“Steve Jobs”), Dylan McTee (MTV’s “Sweet Vicious”) and Ward Horton (“Annabelle”).